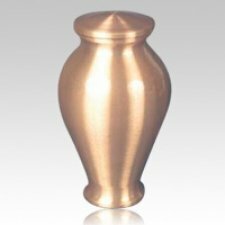 The Nova Bronze Cremation Urn follows a contemporary design that is also reminiscent of classic bronze sculptures. This solid bronze piece features an hour-glass shape that is, in many ways, almost human-like. This is in keeping with classic sculpture traditions that celebrate the beauty of the human form.